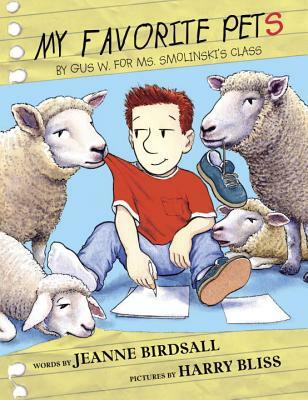 A hilarious picture book about one child's outrageous school essay on his "pet" sheep. Sheep will come into the house...but this will get you into trouble. Seventeen sheep plus one Gus means that life is never dull on the farm! From National Book Award winning author Jeanne Birdsall and New York Times Bestselling illustrator Harry Bliss comes a hilarious tale about man's other best friend.